Ever try coming home from the gun shop with a new gun while trying to hide it from your wife or girlfriend because you spent a huge chunk of your hard earned money on a sweet piece of gear? Doesn’t end well, does it? Unfortunately, our partners are not as enthused about spending hundreds of dollars on prepper gear as we are. So we are forced on a budget. 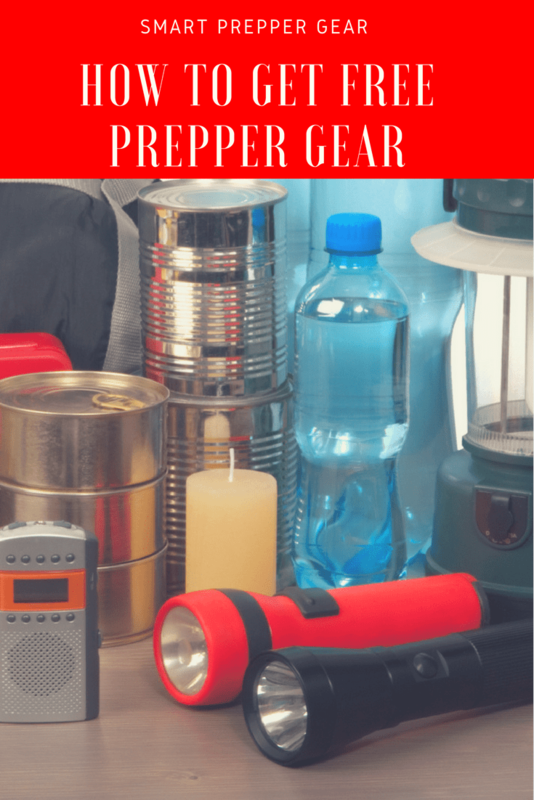 Even if you are single there are many that struggle with picking up prepper gear on a budget. A lot of us don’t make a lot of money, to begin with. That leaves us limited on what we are able to purchase. This limitation often discourages many preppers. We all got to start off somewhere. Building a decent stock of gear and supplies doesn’t happen overnight. If you have then you are most likely in debt now. 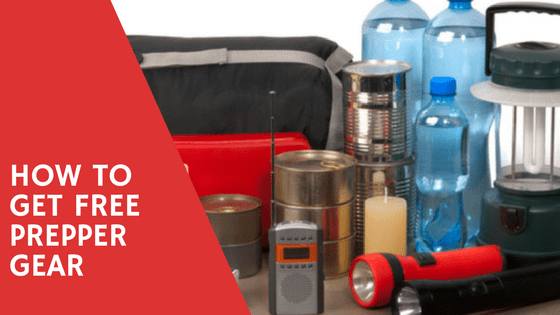 So in this post, I wanted to share some tips on how to find free prepper gear. Believe it or not, you don’t actually have to break the bank. There are some little known, easy ways to build up a supply. Now before you click away or start mashing your fingers on the keyboard as Keyboard Commando, let me explain. I’m not suggesting that you bum it out and start digging in your neighbor’s trash. I’m saying that you should become a strategic bum….just kidding. There have been a few times where neighbors or houses that I am passing by place perfectly good furniture on the side of the road for disposal. As a matter of fact, there was a sofa that I found outside my neighbor’s house that I used all the way through college. Many of friends passed out drunk on that couch. Not only that but I have found a lot of free prepper gear sitting on the side of the road. For example, one neighbor had a chain saw sitting at the curb. There was nothing wrong with it at all. The neighbor just bought a new one and didn’t want that one anymore. It was kind of old but it worked like it was brand new. So definitely be mindful as you are driving to work in the morning or coming home in the afternoon. Pay attention to what people may be throwing to the side of the road. You can typically find some really good items in the wealthy part of town. People with money typically buy things out of want instead of need. They just want to keep up with the Joneses. So they throw out things that are fully functional for no apparent reason. Another great place to find perfectly good items are in apartment complexes at the end of the month. Many times people will leave items behind when moving that the property manager throws out when cleaning the place. Other times it is people being evicted and their items are placed near the garbage. One final place to find free prepper gear is around military bases where soldiers move frequently. They tend to leave behind a lot of tactical gear that you can pick up. Even if you don’t find free prepper gear you can always sell the items that you find so that you can buy some. Craigslist is known for selling a lot of stuff and even questionable things. Many don’t know that there is a free section as well. This tip kind of goes along with the previous one. A lot of people who are throwing out items don’t’ want to feel wasteful. So instead they will post it on the free section for people to come pick up. Typically when it is something of value less wealthy people are going to be hesitant about throwing it out. You can find a similar group like that on Facebook. Typically every city has a “buy or free” group. Sometimes you can find some decent gear. However, it does require a little more digging into the group. You have tons of free prepper gear laying around your house or outside. You just don’t realize it. It is what we call DIY gear. For example, you can use a soda can to make a camping stove. This is useful in case the grid goes down and you need a way to cook food. It’s also something light that you can pack into your bug out bag. Another example is that you can use crayons to make emergency candles. Now the light might now be really bright. If you light multiple crayons then it will increase the brightness. Again this is something that is just laying around the house. If you get really creative you can find a lot of free prepper gear that you can make. You can typically find a lot of articles online about DIY prepper gear. eBates is another tool that I just recently stumbled upon. This site gives you cash back just for shopping on websites that you already shop at. Now, it isn’t always a lot of cash back but if you shop online a lot then it really adds up. You can use this cash back to pick up some prepper gear. Another great thing about eBates is that you can also make additional money by referring your friends and family. You actually get $5 for each referral. They also have multiple bonuses that you can earn just by referring your friends and family. 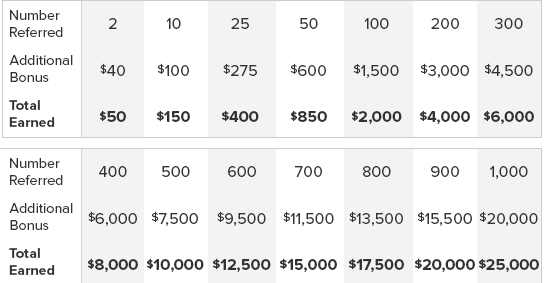 You can find the table below that breaks down all the potential bonuses that you can earn. Sign up for eBates today HERE. Altogether, these would be my tips on how to get free prepper gear. If you have any suggestions or feedback then please leave a comment below. Your feedback helps the community prepare the smart way now so that we can thrive later.